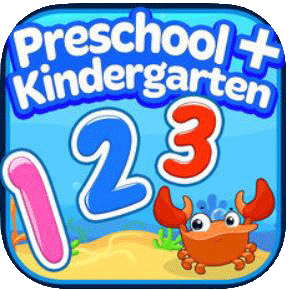 Are you looking for one of the best math apps available to help your child learn basic math skills? It can be difficult with all of the options out there, but 2019 brings one new app that may be the solution you’re looking for: Mathlingo. This app is aimed at young kids who are just beginning to learn math. 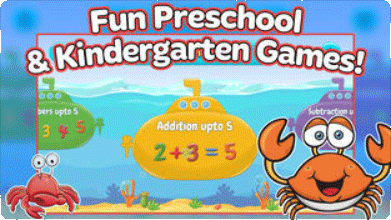 It teaches math under the guise of a game, making learning fun. If you’re ready to download one of the best math apps, take a look at everything Mathlingo has to offer. Geometry, which includes learning shapes, matching shapes, and identifying 3D figures. Numbers up to five teachers the first five numbers through recognition and counting. Numbers up to ten covers counting up to ten. Addition up to five introduces basic addition in several ways using only the first five numbers. Addition up to ten expands to include math problems with the first ten numbers. Subtraction up to five teaches basic subtraction for numbers up to five. Subtraction up to ten focuses on subtracting the first ten numbers. Mathlingo teaches skills in different ways. For example, in learning numbers up to five or ten, kids can learn numbers by counting various items or they can learn numbers by identifying the correct group. In the first game, they might be shown five fish and asked to count them. In the second, they will be given two boxes, one with three fish and one with five fish, and asked to choose the one with five fish in it. The addition and subtraction sections feature both numerical problems and word problems, an area that a number of students often have trouble with. To know more information about the Mathlingo app by Mafooly, check them out in the App store or the Play store. Mathlingo uses an ocean theme. The player is often represented by a character on a boat. Numbers often appear on fish, starfish, oysters, shells, and other sea-related imagery. The backgrounds are often brightly colored ocean scenes that are cheery and inviting. By using these fun images and animations, Mathlingo looks much more like a game and less of a learning tool. That makes it much more inviting to kids, especially those who don’t like math. In addition to the games, Mathlingo also provides parents with progress reports and other options. The sound can be turned on or off and you can rate the app. You can also create different accounts for each child, which is a great option when paired with the progress reports. These reports show you the progress each child has made on the different sections. It’s very helpful in seeing how well your child is doing. All in all, with its different options, cute graphics, and focus on basic skills, Mathlingo is one of the best math apps for young children.